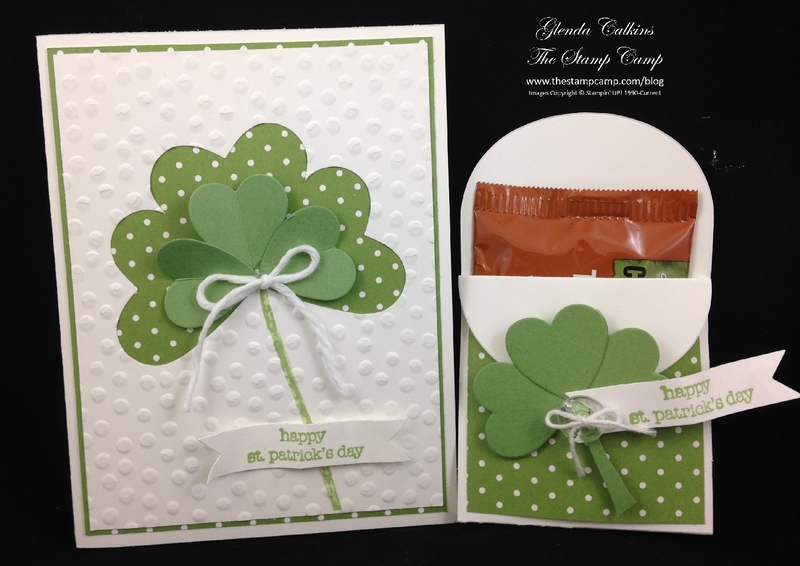 This Saturday is my next Live You Tube Event and I will be showing you how to create these two St. Patrick’s Day projects. Stop by again tomorrow to see what other projects I will be demonstrating on Saturday. Don’t forget join me this Saturday at 1PM EST. I also want to remind you of the Paper Pumpkin Special. For the first time ever, Stampin’ Up! lowered the price of our 3 month prepaid subscription. During Sale-A-Bration (now until March 31) you can save money and instantly qualify for a FREE Sale-a-bration products too! – After your order has been placed you’ll receive an e-mail with instructions and a redemption code to redeem the prepaid subscription. – You’ll need to go to www.paperpumpkin.com and enter the redemption code. – You’ll start enjoying your monthly Paper Pumpkin project kit the very next month! You will receive a Grab Bag of goodies from me (1 grab bag per person per month min. $12.00 value). My Next Live YouTube Event will be Saturday, February 28 at 1PM EST.